Ngoma Safari Lodge is located on the edges of Chobe National Park in Botswana. This fairly new property opened in May 2011 and was officially dedicated in July 2011 with his Excellency, Botswana’s President Seretse Khama Ian Khama attending the opening ceremonies. This is isolated luxury at its finest and rawest; the lodge is accessible by any of 3 dirt roads – which are more like 4wd tracks among the bush – there are no signs and you must reserve the rooms ahead of time. This is not a lodge you just show up to. Upon entering the lodge via these remote 4wd tracks – one has a hard time conceptualizing luxury this far out into the bush. If you approach the lodge from the flat-lands below – you will look up and see traditional Rondavels (rounded structures with dry grass covered roofs) and you might begin to wonder about the accommodations. However, not to worry – these are definitely not your “normal” rondavels! Each Rondavel suite is spacious, well appointed, and comes with its own bath, outdoor & indoor showers and a plush bed. There are merely 8 of these luxury suites on the property- all with beautiful views. The lodge itself is perched high up on a plateau overlooking the plains of Namibia which extend out directly across the Chobe River (which divides the two countries). A stay here is exclusive yet the atmosphere is relaxed. You are in the middle of the bush, after all. It can be a bit disconcerting to see a giant elephant wandering across the path between the suites. 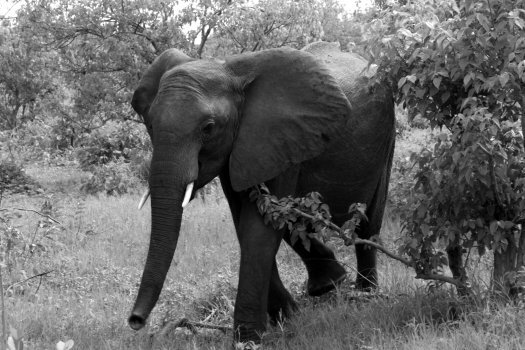 However, the lodge was built near the site of existing elephant trails and the suites were strategically placed away from the trails so as not to block access for these animals. The central lodge features a plunge pool, a well stocked bar, an overlook deck and a restaurant. Meals are flexible, breakfast is a buffet but you can certainly order cooked items. 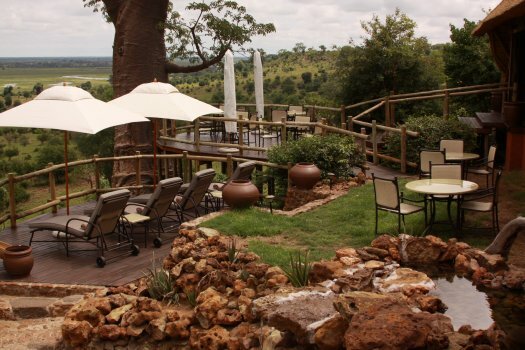 Lunches are provided on the full day game drives and several choices for dinner are offered. 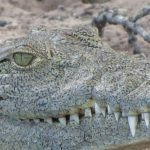 Ngoma’s flagship activity is the all day game drive into Chobe National Park including a leisurely boat ride on the Chobe River. All Ngoma’s guides have received their safari certification; they have eyes like hawks for spotting wild life. Lunch is provided; it is a magical thing when in the middle of the bush around lunch time a number of tasty items magically appear on a portable picnic table along with bottles of wine! Regardless of the time of year you visit, the wildlife here is absolutely prolific. You will not be disappointed. Chobe boasts large numbers of elephants, giraffe, cape buffalo, impala and hippopotamus. You can also see wild dog, lion, alligator, water monitor and kudu among many other animals. 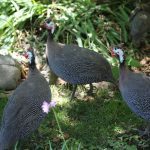 There is a huge variety of bird life in Chobe and you could easily spend all day just focusing on bird watching. Sometimes the smallest wildlife can be the most intriguing. During a recent visit we witnessed a Chameleon changing color and also an interesting display that featured animal dung. A male dung beetle rolled a ball of dung (containing an egg) across the dusty ground while the female hung onto the side without moving the entire time. 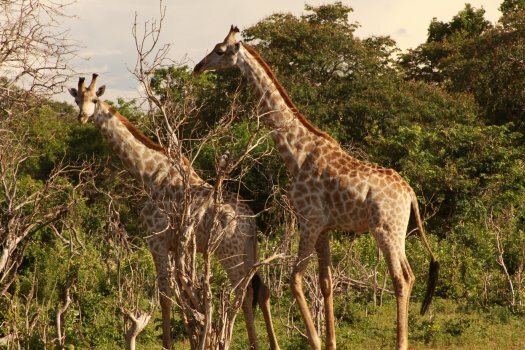 Other activities also centered on game viewing include a night game drive (best during the dry season), a walking safari, or shorter outings into the bush. 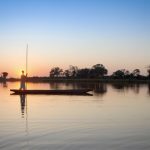 An ideal stay is 3 nights – one full day exploring Chobe, a day for shorter multi excursions and a day to just relax at the lodge. With a full bar, a well endowed view and lounge chairs next to the pool – this is the ideal location to enjoy some downtime and absorb Ngoma’s surrounding beauty. Dry season is generally from May through October – with rainy season from November through April. During rainy season it may not even rain every day. 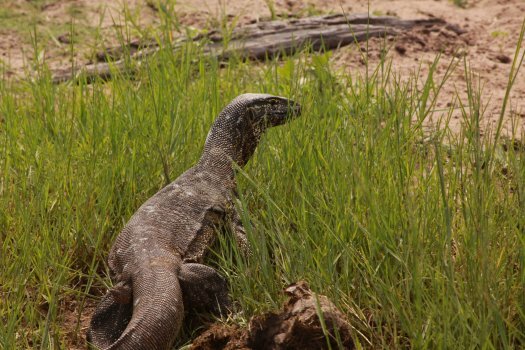 With over 75 species of mammals and 450+ species of birds within Chobe, you will certainly still see an abundance of wild life regardless of the time of year. Part of the proceeds from every booking are directly contributed towards developing the local community. 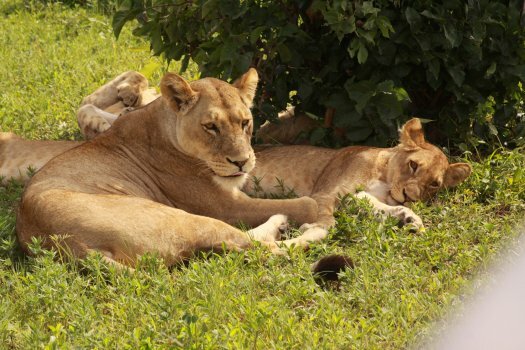 Ngoma Safari Lodge has partnered with the Chobe Enclave Conservation Trust (CECT) which is an organization that helps support five local communities. Most guests fly into Victoria Falls in Zimbabwe or Livingstone in Zambia (both about 2 hours from the lodge) or Kasane Airport (about 45 minutes away). 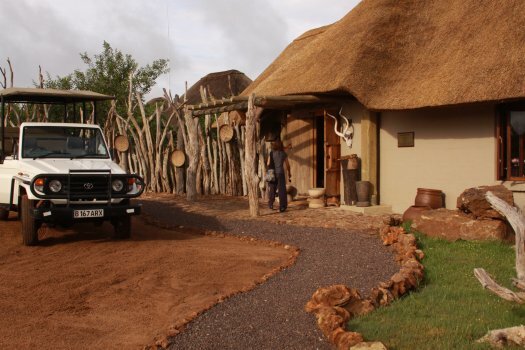 Ngoma Safari Lodge offers to and from transportation to both airports.